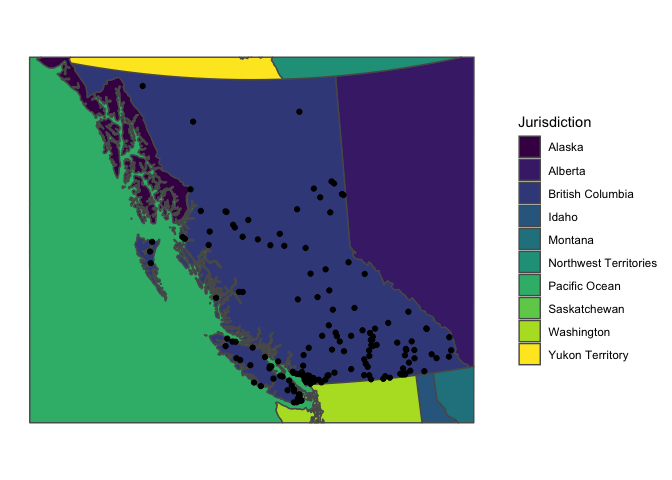 An R package of spatial map layers for British Columbia. Provides access to various spatial layers of British Columbia, such as administrative boundaries, natural resource management boundaries, watercourses etc. All layers are available in the BC Albers projection, which is the B.C. Government standard as sf or Spatial objects. Layers are stored in the bcmapsdata package and loaded by this package, following the strategy recommended by Anderson and Eddelbuettel. 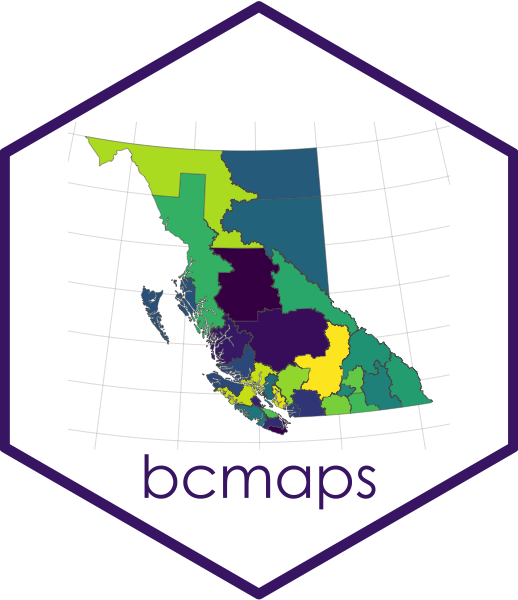 To install the development version of the bcmaps package, you need to install the remotes package then the bcmaps package. To get full usage of the package, you will also need to install the bcmapsdata package, which holds all of the datasets. Note that unlike most packages it is not necessary to actually load the bcmapsdata package (i.e., with library(bcmapsdata)) - in fact it is less likely to cause problems if you don’t. Alternatively, you can use the get_layer function - simply type get_layer('layer_name'), where 'layer_name' is the name of the layer of interest. The get_layer function is useful if the back-end bcmapsdata package has had a layer added to it, but there is as yet no shortcut function created in bcmaps. 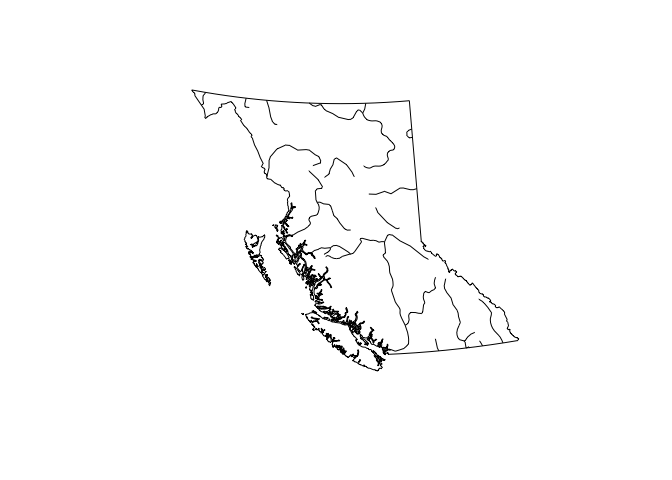 # Load and plot the boundaries of B.C. # Load watercourse data and plot with boundaries of B.C. 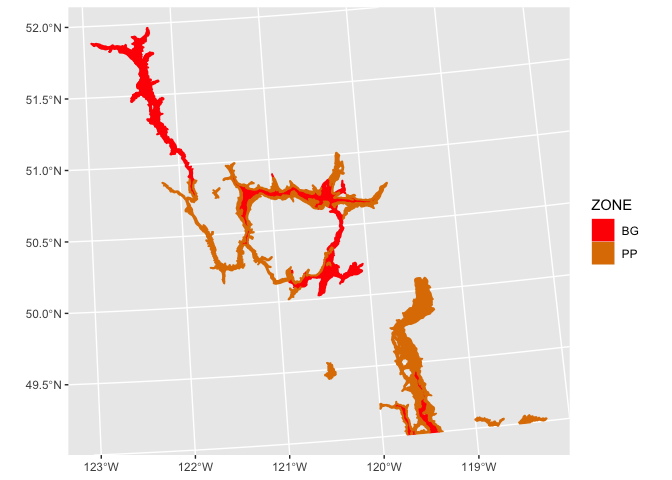 We have written a short vignette on plotting points on one of the layers from bcmaps. You can view the vignette online here or if you installed the package you can open it using browseVignettes("bcmaps"). transform_bc_albers() for transforming any sf or Spatial object to BC Albers projection. To report bugs/issues/feature requests, please file an issue. Pull requests of new B.C. layers are welcome. If you would like to contribute to the package, please see our CONTRIBUTING guidelines. The source datasets used in this package come from various sources under open licences, including DataBC (Open Government Licence - British Columbia) and Statistics Canada (Statistics Canada Open Licence Agreement). See the data-raw folder for details on each source dataset. # See the License for the specific language governing permissions and limitations under the License. This repository is maintained by Environmental Reporting BC. Click here for a complete list of our repositories on GitHub.